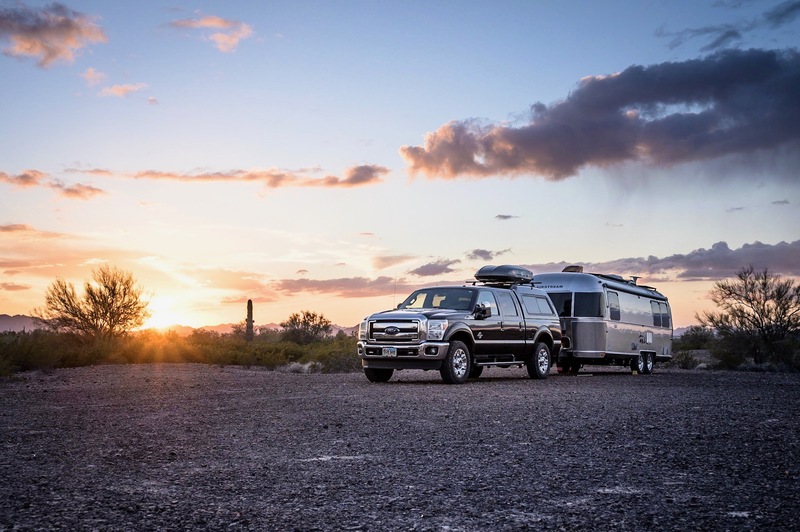 Our trailer came equipped from Airstream with 15″ aluminum Sendel rims and Goodyear Marathon tires. Like most larger trailers, ours has two axles and four total tires. About a year ago I noticed irregular wear pattern on the front curbside tire. At the time, I didn’t think too much of it – concluding it was simply a faulty tire. A few days later I replaced it and assumed all was good, but unfortunately the wear has now returned something serious … only this time having expanded to both front axle tires. Concerned about misalignment, I booked an appointment with an axle shop – specifically contacting a dealer specializing in the same brand axle I have (Dexter), but not immediately. Instead, I deferred further inspection until a time more convenient, which would be a few weeks later. Then, on cue as if planned, a couple days prior to the scheduled axle check, one of the tires failed. Fortunately, not catastrophically. I had the alignment checked, but results came back all good, so I remain stumped (as does the owner of the axle shop). However to be safe, I upgraded to bigger wheels and more durable (truck) tires. Like many Airstream owners before me, I opted for 16″ wheels and also transitioned from Goodyear to Michelin LTX tires. Combined, this new set-up can accommodate increased weight ratings, reducing individual stress on all four tires. I’ve haven’t towed more than an hour since making the swap, but early indicators are positive and I’m expecting an overall improved towing experience ahead. Hi Roger – I’ve towed a couple times with the new set-up, but nothing more than 40 miles (I’m bouncing around Phoenix metro currently). However, I can immediately feel an improved difference as the ride is a bit less spongy. Longer term, only time will tell if the tires hold-up better, but the Michelins are not only larger, they are also much sturdier so I am expecting good results. I know many who who have made the swap and all report good things, but you can be assured I’ll be monitoring closely. On the batteries … last week I completed a massive solar and electrical upgrade project to our rig – the single largest investment (time and cost) since purchasing. Now that we are full-timing, the previously set-up simply could not keep up and we were running deficit amps far too much for my comfort and convenience. As a fix, I added 2 panels (100 watts each) to the roof, swapped to lithium batteries (tripling our storage capacity), added a massive Magnum hybrid charger/inverter, and wired all outlets to be powered by the inverter. I will outline all the changes in detailed blog update in the next 1-2 weeks, but so far it’s been awesome. Goal was to eliminate any need for shore power, including when running air conditioning.